WHICH COMES FIRST? THE CHICKEN OR THE GUN? 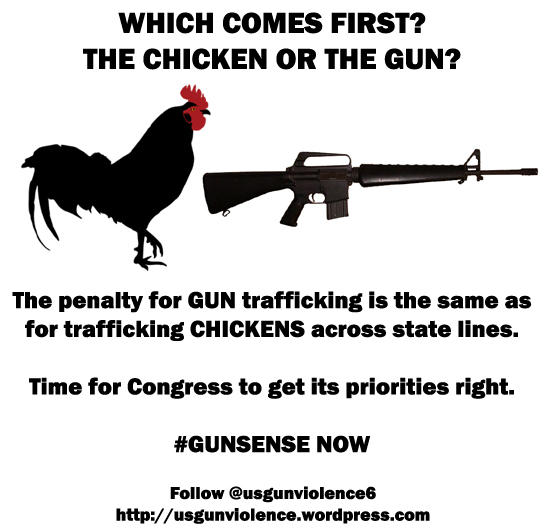 The penalty for GUN trafficking is the same as for trafficking CHICKENS across state lines. Time for Congress to get its priorities right. 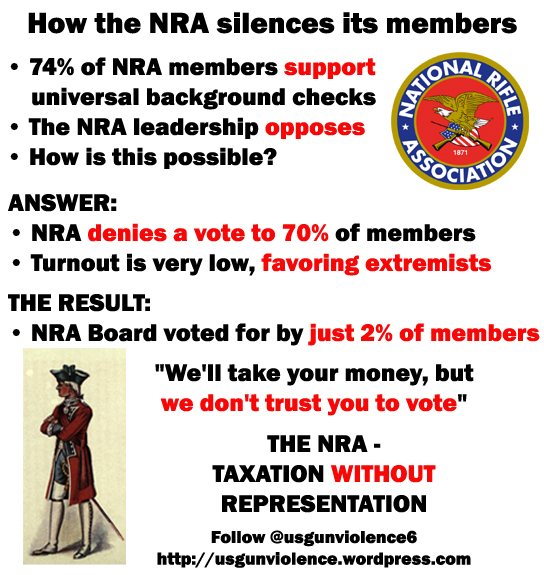 This entry was posted in 2nd Amendment, Background Checks, Call for Action, Gun Industry, Gun Manufacturers, Gun Safety, Gunsense on July 20, 2014 by usgunviolence. 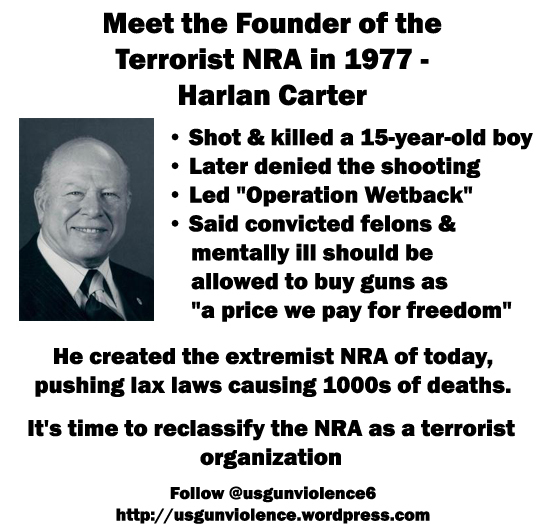 He created the extremist NRA of today, pushing lax laws causing 1000s of deaths. 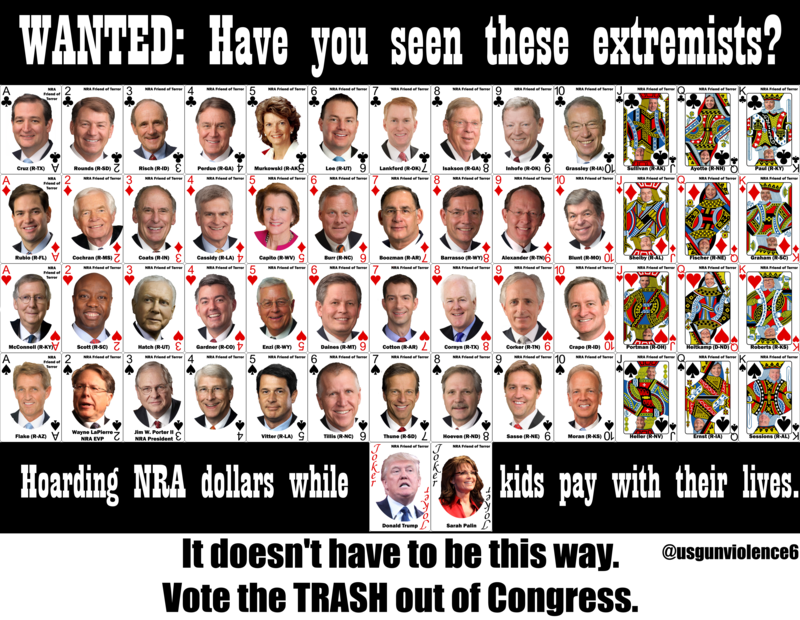 It’s time to reclassify the NRA as a terrorist organization. 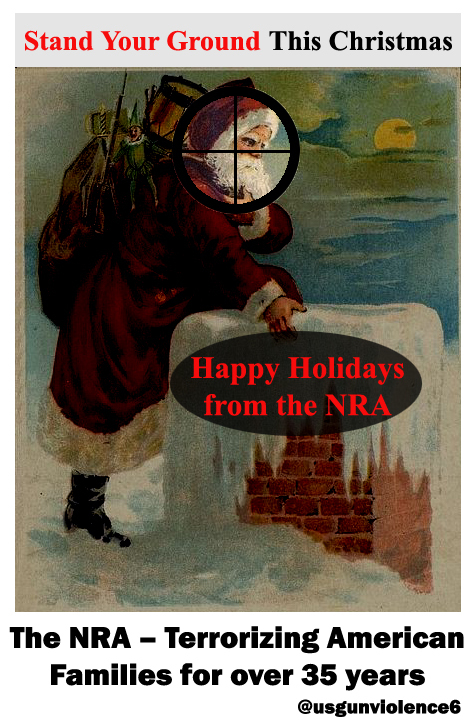 This entry was posted in 2nd Amendment, Gun Industry, Gun Manufacturers, Gun Safety, Gunsense, NRA on July 20, 2014 by usgunviolence.